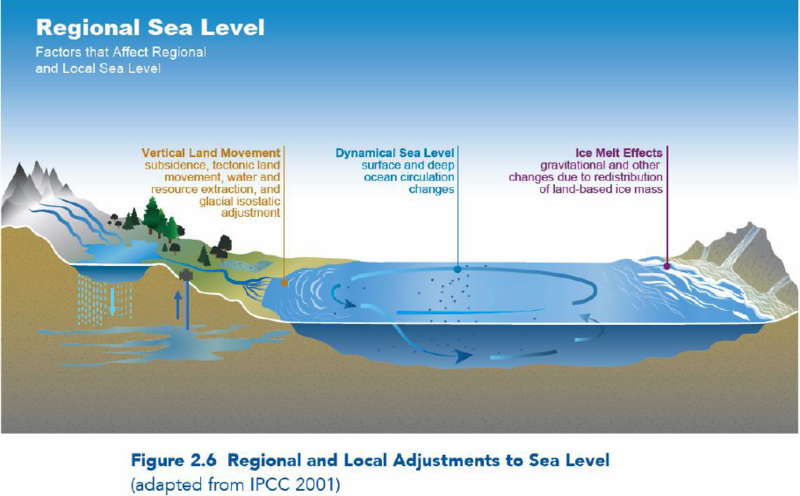 The Chesapeake Bay experiences the highest rate of sea level rise on the Atlantic Coast. Over 17 million people live within the bounds of the vast Chesapeake watershed. More than 250 fish and shellfish species use the Bay and tributaries for some portion of their life cycles, including American and hickory shad, river herring, striped bass, eel, weakfish, bluefish, flounder, oysters, and blue crabs. More than 300 migratory bird species can also be found in the watershed. The estuary and its network of streams, creeks, and rivers hold tremendous ecological, cultural, economic, historic, and recreational value for the region. With a better understanding of how sea level changes are affecting the Chesapeake, Cooperative partners are helping communities make informed decisions to keep the Bay healthy and sustainable. The Chesapeake Bay experiences the highest rate of sea level rise on the Atlantic Coast. Subsidence strongly influences local sea level rise here. Long-term data from NOAA tide gauges positioned around the Chesapeake indicate that relative sea levels are rising at 3.4 mm per year, or twice the average global rate of 1.7 mm per year. Over a 30-year period from 1985 to 2015, tide gauges showed rates of sea level rise ranging from 4.8 mm per year in flood-prone Annapolis, Maryland, to 6.3 mm per year at Swell’s Point, Virginia, in the subsiding Hampton Roads region. 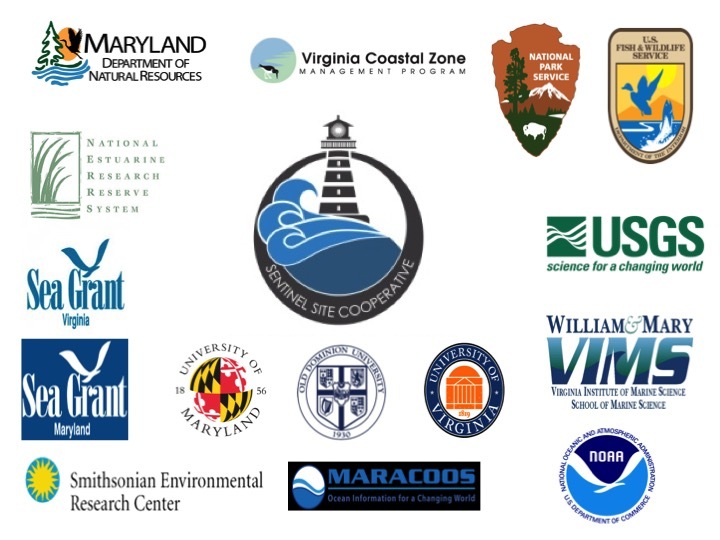 NOAA tide stations are essential to documenting changes in local sea levels, but in addition, long-term monitoring data from sentinel sites inform costal decision-makers about the longevity and health of vital Chesapeake Bay ecosystems.